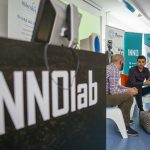 As part of this year’s main entrepreneurial event on the Slovenian coast, Festinno 2018, which combines fun and innovation, the Faculty of Management of the University of Primorska opened the first entrepreneurial-innovation laboratory in the academic sphere – INNOlab. 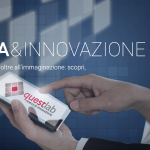 Festinno 2018 is intended for anyone interested in contemporary issues and challenges, related to entrepreneurship and innovation, such as 3D printing, intellectual property, crypto-currencies, blockchain technologies, brands, business models, social and sustainable entrepreneurship, legal aspects and the pitfalls of websites, creativity, virtual and augmented reality, and the internationalization of business. 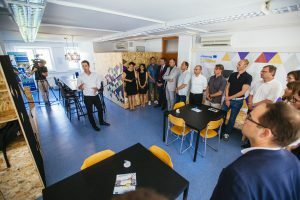 In the framework of the festival, Slovenia’s State Secretary, Aleš Cantarutti, opened the first entrepreneurial-innovation laboratory in the academic sphere – INNOlab, aimed at learning about and working with new technologies, such as 3D printing, virtual and augmented reality, the design of innovative marketing practices, working and learning with design thinking, and other modern approaches that are taught in entrepreneurship courses at the Faculty of Management. 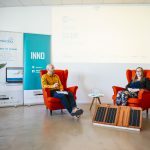 At the opening of INNOlab, Aleš Cantarutti said that with this opening, the Faculty of Management became an example to other Slovenian faculties, adding that this intensive connection between theory and practice was also something the ministry strived for during its entire mandate. The active interaction with the environment and with the entrepreneurial sphere is one of the main tasks of the university and the opening of the first entrepreneurial-innovation laboratory in the academic sphere is definitely a step in the right direction, said the faculty’s Deputy Rector, Štefko Miklavič, at the event. 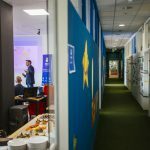 Meanwhile, the faculty’s Dean, Matjaž Novak, said that the faculty will strive to make the best possible use of the new laboratory and keep up with modern trends, adding “that the driver of economic development and growth is innovation, but there can be no innovation without wider public support. The faculty’s Professor, Mitja Ruzzier, who is actually responsible for setting up the laboratory, said that the idea for such a laboratory was actually conceived a decade ago, but then managed to fully develop over the years, giving the faculty a space where “work turns to joy”. This was all made possible by the architects of Marhitect and Iksiks – the Institute for the Design of Spatial Experiences, also by providing the actual architectural design, which envisioned a place that enables work in small and large groups, as well as work with tools and prototyping. The laboratory also has a technical corner for working with hi-tech devices and a so-called “coffee corner” with a large table for socialising and creative brainstorming. The room’s chosen basic material is Oriented Strand Board, which adds to the creativity of its young visitors. 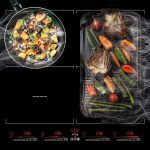 According to Marhitect’s Tina Marc Baša, all the equipment is modular and multifunctional and allows for re-use in a different space. The festINNO event is organised by the Faculty of Management of the University of Primorska, together with other partners of the NUVOLAK2 project, which is co-financed in the framework of the Interreg V-A Italy-Slovenia Programme with funds from the European Regional Development Fund.